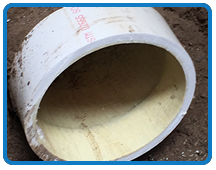 While we are well versed in all areas of pipe repair, we excel at underground utility repair and replacement. 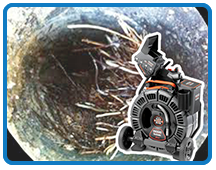 We have all of the latest state-of-the-art equipment that allows us to repair and/or replace broken sewer lines with minimal disruption to your property. The perimeter of any commercial property is constantly subject to water runoff. Typically, this runoff will be caught by perimeter drains, catch basins, storm sewer inlets, or ponds. Once in a system, storm water will need to be conveyed by either gravity or pump. These occurrences put heavy strain on the pipes conveying them. Faulty storm sewer management will lead to exfiltration, where water will leave the pipe and exfiltrate back into the ground around it. This is what causes sinkholes and pipe collapse due to the water having nowhere to go. Knowing the condition of your storm sewer is key to property maintenance. For buildings with flat-top roofs, rain leaders or roof drains are used to convey storm water from the roof to the underground storm sewer. These lines are buried behind walls, hallways, and ceilings. Access to these systems are near-impossible and accessing them will be quite invasive. Failing rooftop drainage can be diagnosed from the roof instead of having to cut open interior finishes. Our CIPP division can perform repairs from the roof as well, eliminating the need for interior demolition or renovations. Many older commercial buildings tied their storm sewer system to their sanitary sewer system. 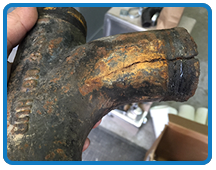 From day one, this installation caused undue stress on the sanitary laterals, mains, lift stations, lagoons, and treatment plants. Excessive water that does not need to be treated will overflow an undersized system that is incapable of conveying the additional storm water. Separating these systems is being mandated from city-to-city to reduce the stress placed on the sanitary system during peak rain events. We can separate these systems, sending storm water to its respective inlet.